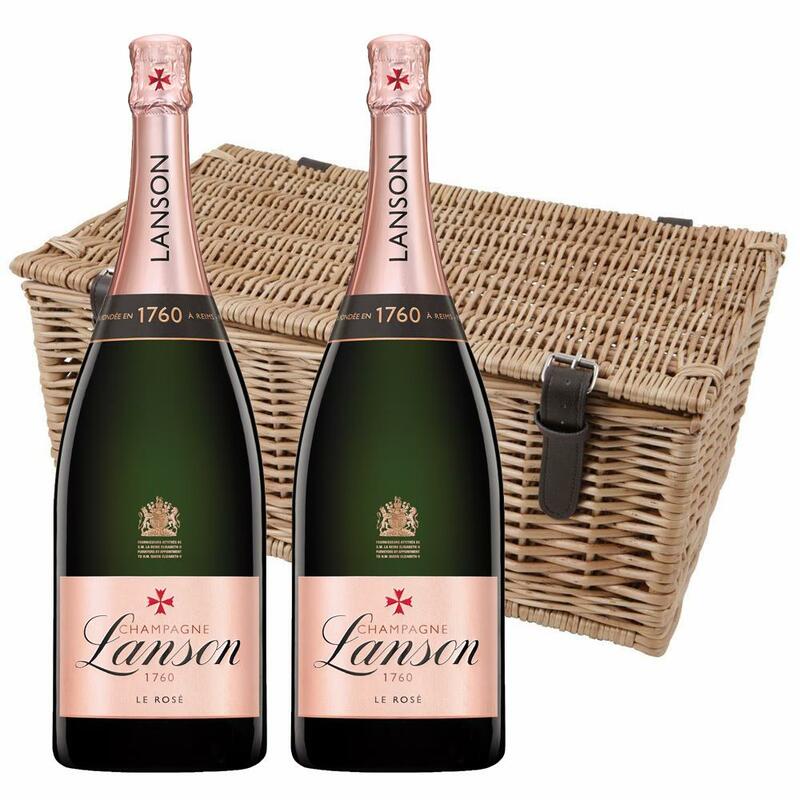 This Duo Magnum Hamper comes with two of Magnum of Lanson Rose Champagne 150cl packed together in a medium wicker basket with faux leather fittings and cut out handle either end. This wicker hamper is made from top quality autumn willow with natural boiled finish to give a luxury finish. Lanson Rose Brut NV Champagne Magnum (1.5 litre) in Lanson Wood Box A beautiful pure colour with pale salmon touches. On the nose aromas of roses and fruit predominate, with discreet notes of red fruit. The initial impression is tender; well-rounded and fresh, this wine has harmonious balance and good length on the finish.